Watching the walking pattern of up and down and around of our legs, feet, toes, and the whole body is fundamental to robotics and animation as well as meditation. 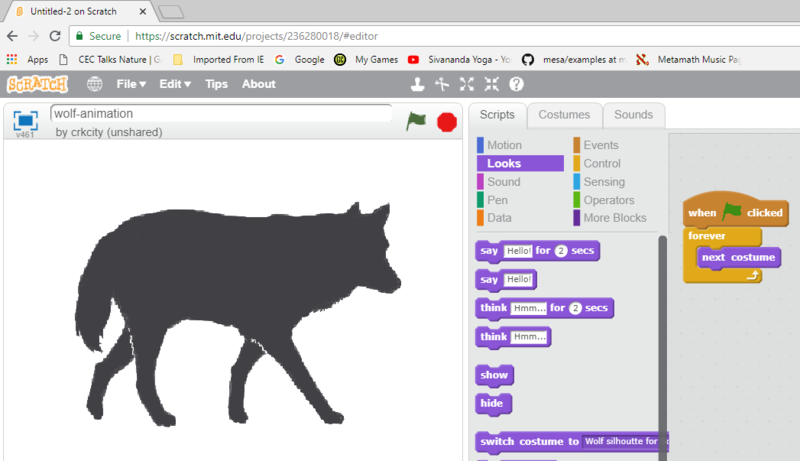 We explore walking through animation (Scratch and NetLogo), robotics (the mbot programmed in Scratch, and the piston and wheel patterns simulation in Scratch), and meditation. Walking meditation is a very popular and ancient method of awareness to a fundamental rhythm in our lives. The simplest yet most challenging form is walking very slowly while bringing deep awareness to each motion of our bodies as we walk. Our books on spirals also provide a walking meditation exercise, focusing on spirals we encounter in nature. Alternatively, walking in the figure 8 pattern is an exercise, apparently with an ancient history in India, currently practiced to stimulate coordination and balance. Walking in the changing curve of the figure challenges our body to respond to “balancing feedback” as we swerve in one direction and the next. 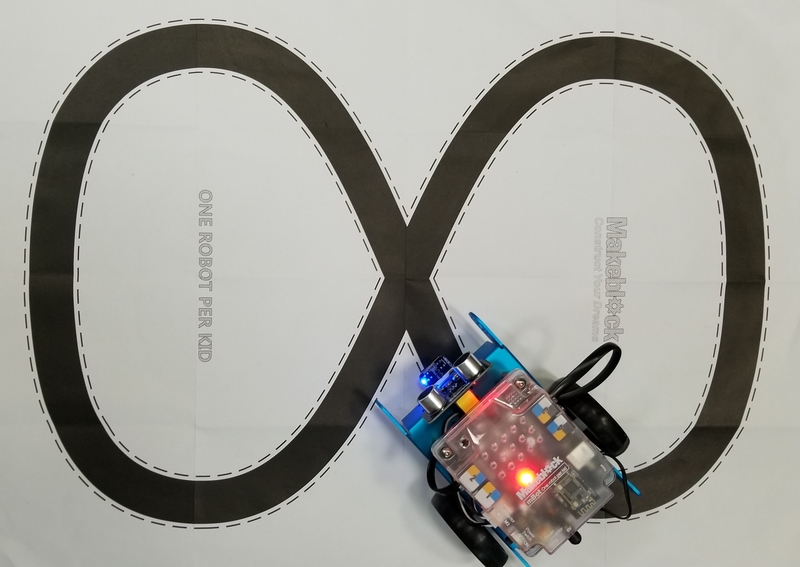 The makeblock mbot even comes with a figure 8 and a built-in code for robot to adjust left or right when it swerves to the left or right of the line. 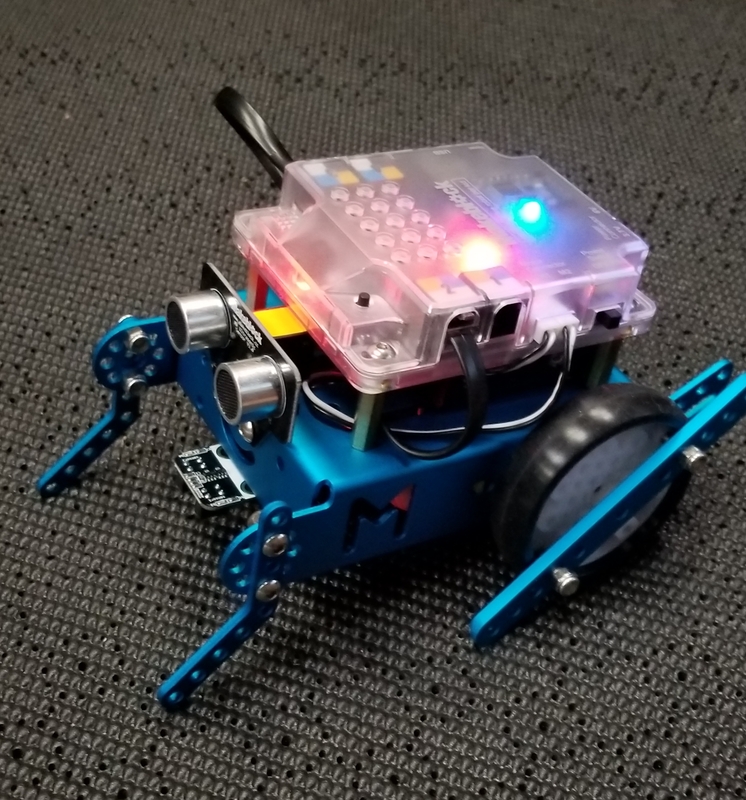 For example when the mbot deviates to the left, it turns a little to the right.